Microsoft has been working on a new virtual reality controller aimed at a segment that has traditionally not even been a part of the VR market — visually impaired people. The Redmond Giant is looking to bring the virtual reality experience to visually impaired people and has finally come up with a product that can successfully do that very thing. It’s not perfect, but it’s an exceptionally well-rounded achievement nonetheless. Microsoft’s controller works on haptics, and as such uses sounds and vibrations to communicate with visually impaired people. 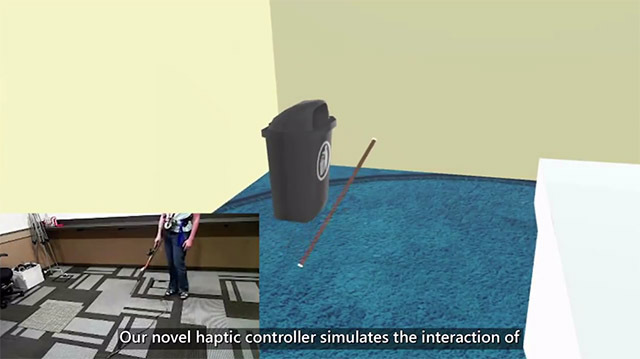 The controller basically functions in VR as an object similar to the white cane used by visually impaired people in real life but is much smaller than a cane. 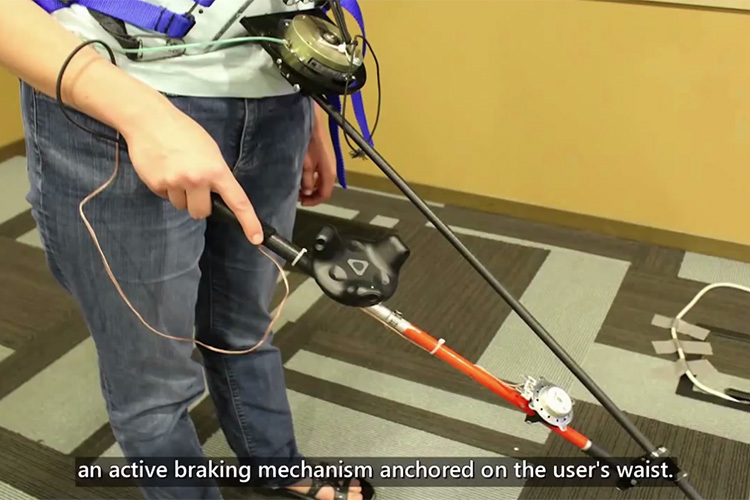 The company has succeeded in making the controller recognize objects in the virtual world and detect collisions with them — something it then communicates to the user using sounds and vibrations. The experiment, overall, shows a lot of promise. 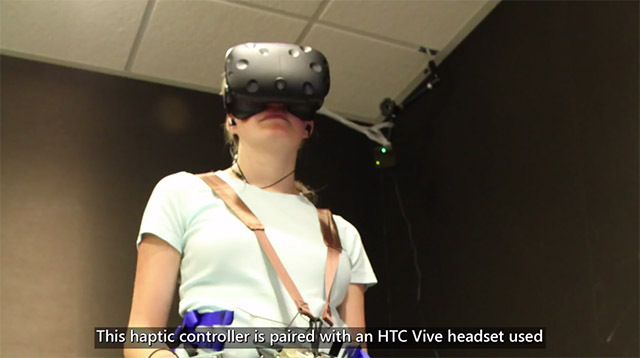 According to reports, eight out of nine participants were able to properly navigate through the VR world in indoor simulations. The outdoor simulation had a lower success rate but still managed an impressive number. Six people were able to successfully navigate in the outdoor simulation. There is still a lot of work to do. One participant mentioned that the way audio has been modeled in the virtual world isn’t close enough to the way it works in reality, making it confusing for visually impaired people to properly orient themselves based on sound. “I didn’t have a good sense of direction where I was at [in the real world]. I can hear roughly where the wall is at, by the way it blocks off sound in the real world. I didn’t have that in the VR world,” he said. At the end of the day, it’s a novel idea, and Microsoft is definitely on the right track. After all, a disability shouldn’t keep someone away from experiencing the best that technology has to offer.